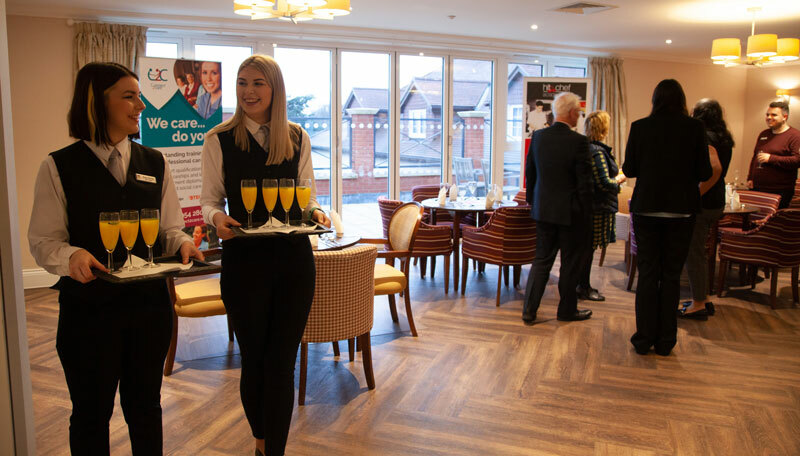 To celebrate National Apprenticeship Week in March, Encore Care Homes teamed up with HIT Training and Connect2Care to host an event for local catering apprentices working in the health and social care sector. Great Oaks is the latest addition of an established family of care homes managed by Encore Care Homes, with two other care homes in Dorset and Hampshire. The 80-bed care home is fitted with state-of-the-art facilities, designed to enable staff to provide the highest standard of 24 hour, personalised care and ensure residents are comfortable and happy in their surroundings. Please visit www.greatoaksbournemouth.co.uk for more information or call 01202 087444. Find out more about the Commis Chef Qualification here. Find out more about the Level 2 Award in Professional Cookery in Health and Social Care here.